2nd Generation - Advanced in design, winning in style. The 2nd Generation Arsenic cues deliver classic American style and a winning edge. Combining Predator technology and distinct details in Cocobolo, black Maple, white Micarta, and red pearlised accents, each cue puts its own spin on style and playability. 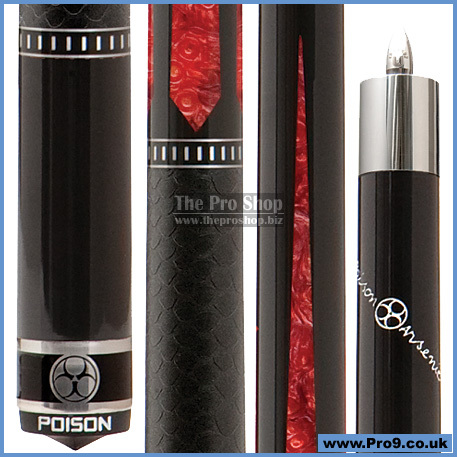 Every Poison Cue comes with a Venom Shaft with DD technology built-in. 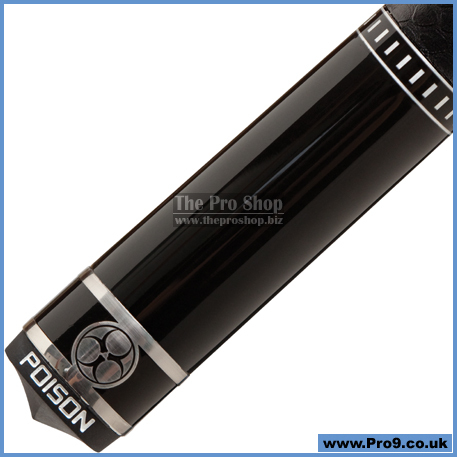 No competitor in its class comes close to the quality and performance of the Venom Shaft on every Poison Cue. 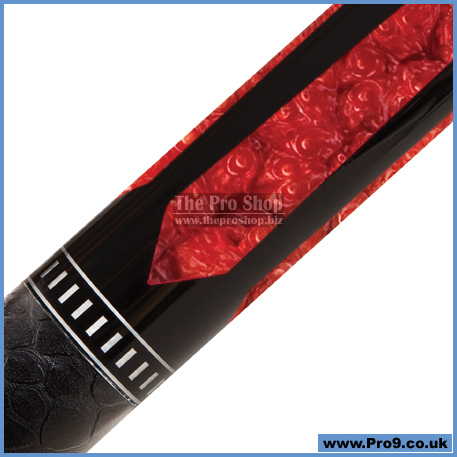 Venom Shafts benefit for a wealth of experience in shaft technology and design, including the Poison "Double Density (DD) Technology for accuracy that will make you believe that the pockets are wider!! !